JAMES FERGUSON was an early pioneer, author, newspaper correspondent, Justice of the Peace in Blackwood, and builder of the Mechanic Institute (Blackwood Hall). He was the newspaper Correspondent for the Bacchus Marsh Express paper prior to his death in 1892 age 66 yrs. 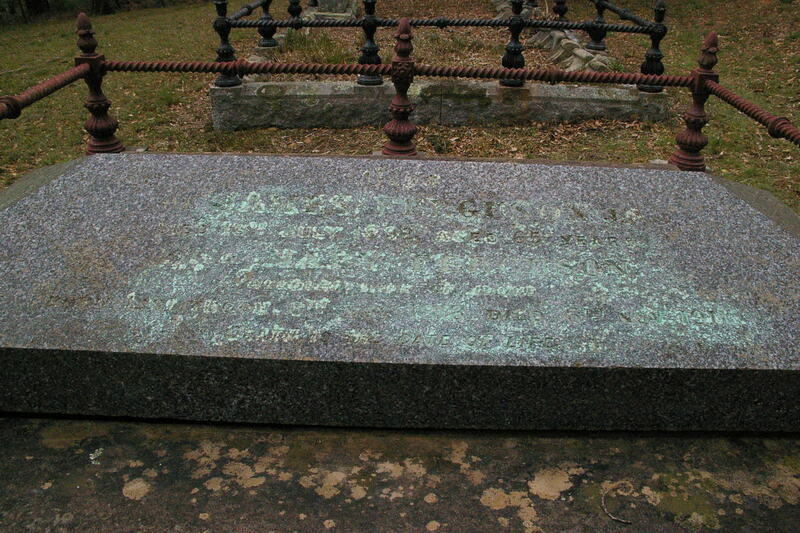 As reported in the Bacchus Marsh Express in 1894 – “A handsome tomb-stone has been erected in the Blackwood Cemetery to the memory of the late Mr. James Ferguson. Two years previously was reported the following on James Ferguson, an early pioneer, author, newspaper correspondent, Justice of the Peace in Blackwood, and builder of the Mechanic Institute (Blackwood Hall). 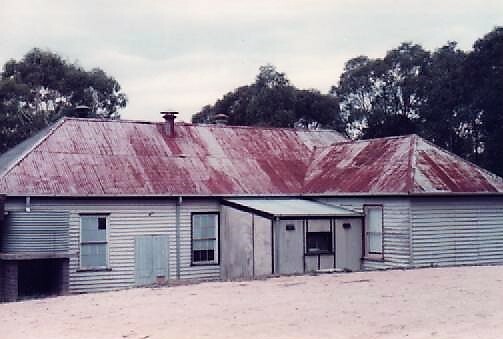 Mr. Ferguson wrote much as Correspondent for the Bacchus Marsh Express paper, and walked many miles to get columns of information which is very readable now on TROVE. 1892 – Mr. James Ferguson, J.P., a resident of over 30 years at Golden Point, Blackwood, died at Kyneton on Monday last, where he had been taken for the purpose of undergoing an operation. The deceased had been suffering from dropsy for some time. His age was 66 yrs. Soon after this they opened the first lending library in Blackwood. A variety of circumstances led Mr. Ferguson to visit New Zealand in January, 1862. Finding the gold prospects excellent, he sent for Mrs. Ferguson, and by combining gold mining with a general store business at goldfield prices succeeded in gathering a fair competency, returning to Blackwood in 1865. About this time the first fervour of gold mining was passing off. Great efforts were being made, by the aid of readings, concerts, &c., to erect new public buildings, of which the principal were the present Golden Point School, and the Mechanics’ Institute. 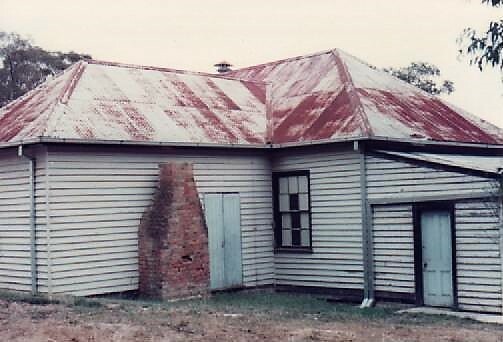 The builder of the Mechanics’ Institute was reported on – June 5, 1869 – The contract to erect the Mechanics Institute, Blackwood has been let and operations begun. The building is to be 52 ft x 24ft. James Ferguson is the contractor. In the early part of 1870 he bought a principal interest in the North Britain mine, which had during the previous year been discovered and partially worked by a man named Wright. The mine was worked for a few years, when his Melbourne partner offered him the management of a nickel mine in New Caledonia, which he accepted, and left for that place in 1877. James Ferguson carried on the work most successfully for about two years, when, on account of a glut in the market for nickel ore, the mine was stopped. Mr. Ferguson then returned to Blackwood, and recommenced active work in the North Britain mine. For several years he struggled hard, either as chief proprietor or afterwards as manager, when the mine was formed into a company, to make it pay its way, but the refractory nature of the quartz to a great extent prevented him. He has often said since that his fortune had flowed into the Lederderg, because the process of saving and dealing with the goldbearing pyrites was not then sufficiently understood on Blackwood. Parcels of pyrites from the Britain mine forwarded to Germany for treatment since that time realized up to 12oz. gold per ton. Mr. Ferguson was appointed a Justice of the Peace about 1883, and as he resided in the vicinity of the Blackwood Courthouse, he fell in for an extra large amount of the work incidental to the position. He also for a few years filled the position of one of the Shire Councillors for the East Riding of Ballan, and it was during his term as Councillor that some of the most effective work ever done on the Blackwood roads was carried out under the charge of the late Mr. Allan. During the last two or three years, although Mr. Ferguson was apparently quite unaware of it, the seeds of his fatal illness must have been working within him, for, although he kept himself employed at intermittent carpentering work, or at embellishing and improving his own house and garden, there was a remarkable absence of that energy which distinguished him in former years. When he knew his end was approaching he said he had no fear of death, his only regret was leaving Mrs. Ferguson to be all alone. She attended him with the most assiduous care, and is now lamenting her irreparable loss. Thus he passed away at 65 years, one of the best and most upright men Blackwood has known.